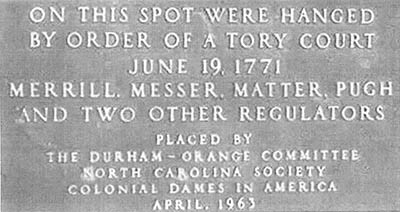 On June 19, 1771 six North Carolinians - known as Regulators - who had protested unfair taxation and fees, were hanged in Hillsborough by order of William Tryon, the English governor of the colony. 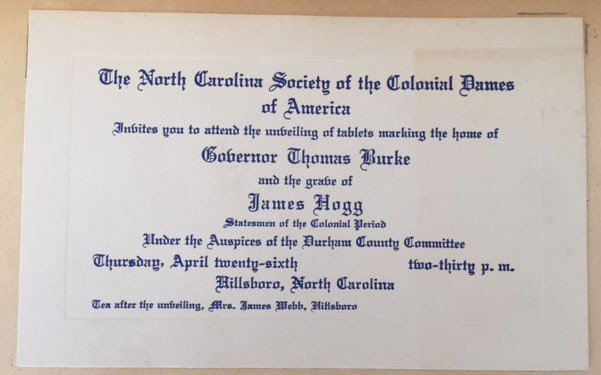 For more about the execution and the events leading up to it, download pdf. 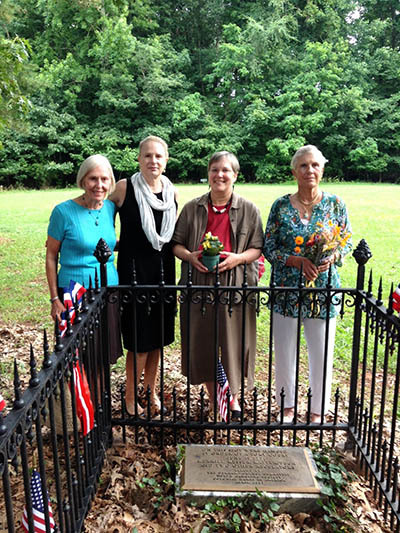 In 1963, the Durham-Orange Committee of the NSCDA-NC placed a bronze marker at the Regulator site as a memorial to these six patriots. 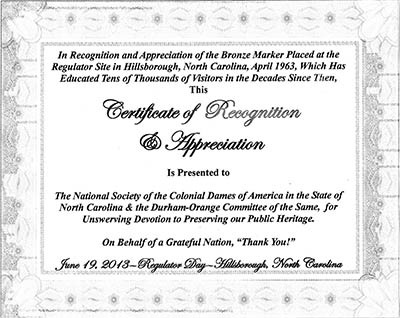 NC Dames participated in events commemorating the 242nd anniversary of Regulator Day on June 19, 2013 and received a certificate of appreciation for the marker.